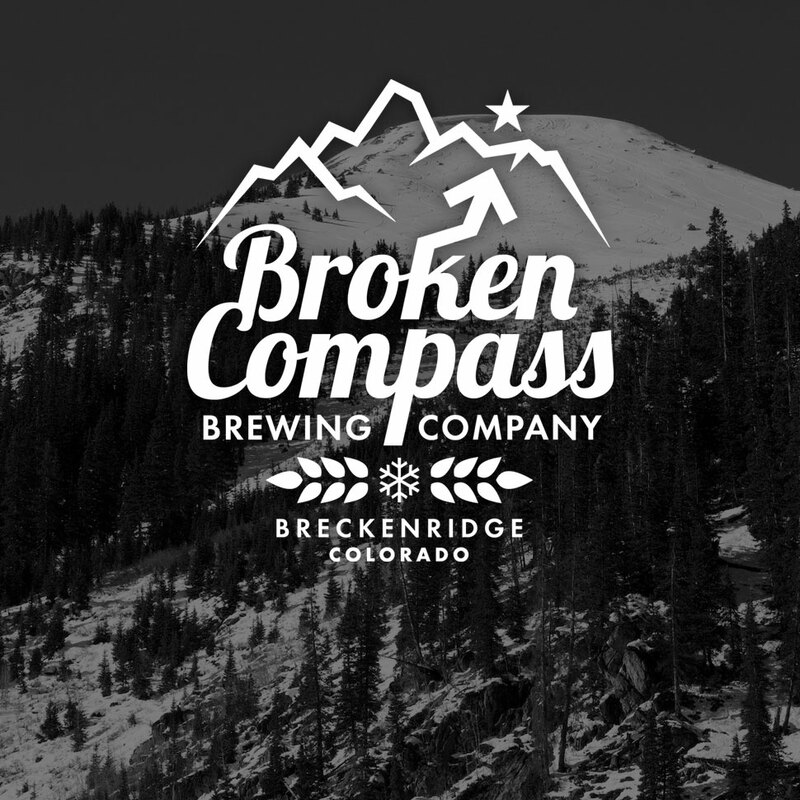 At the foothills of Breckenridge in the quaint tan-hued Quandry Center mini mall, BROKEN COMPASS BREWING COMPANY was founded in 2014. Serving wide-ranging homemade brews with lots of cool flavor designs and profile depth, this unassuming pub will please a varied array of brewhounds. At the front-windowed TV, several rock videos play while I venture towards the eighteen-seat, L-shaped, white pine bar on a cold March ’19 evening. Railroad tie wood and corrugated aluminum furnish the casual one-room outpost. Four community tables provide extra seating and a colorful black-boarded menu offers today’s selections. Dried hops hang from the wood trellis bar top and a few Broken Compass insignias fill the walls. In the rear, large silver brew tanks provide the sassy suds. For starters, musky oats-dried lightweight, Czech Pilsner, brought spritzy lemon rot to biscuity pilsner malting. Lemon-sugared ginger leaf guided Ginger Pale Ale as herbal ginger-rooted black tea dryness countered its sweet frontage. Dewy peat mustiness seeped into caramel-spiced apple skin and brown pear for stylish moderation, Irish Red Ale. Its lovely barrel-aged version retained subtle bourbon-whiskey sweetness, subdued apple-bruised pear syruping and mild peaty dewiness to infiltrate its brown-sugared caramel spicing. Mildly rye-spiced Red Hop Rye-Demption had a fig-dried granola likeness and tamped-down hop bittering. Rummy Grand Marnier-like Scottish Wee Heavy went beyond its stylish intentions as bruised orange, caramelized raisin, apricot and cantaloupe cut across its dewy meadow. Easygoing Azacca Smash IPA placed mango-skinned lemon zest and mandarin orange tartness alongside grassy hop astringency, relegating its dry pale malt spine. Evergreen-fresh Snow Blind Double IPA let pineapple-juiced grapefruit, orange and tangerine tanginess receive honeyed floral sweetness and mild herbal nuances. Hybridized peach liqueur barrel-aged Belgian Strong Ale received mildly sour green grape acidity to contrast its peachy sweetness. Blackberry pureed Nitro Blackberry gained medicinal cherry coughdrop syruping to graze wispy blueberry-boysenberry tartness above peaty earthniess. Though mellow on the tongue, daring Chili Pepper Pale Ale connected green chili, cerrano, pablano and habanero peppering to dry pale malts, leaving only a light burn. Dry Tall Ship Foreign Export Stout let raw molasses drip into dark chocolate and dark-roast coffee tones above earthen nuttiness. Mallomar bar-like Coconut Porter brought chocolate-coated marshmallow sweetness to toasted coconut sugaring, picking up latent almond, pecan and hazelnut illusions. Aged for one year in bourbon barrels, Imperial Bourbon Brown Ale loaded creamy vanilla sweetness cocoa upon coconut-toasted macadamia, almond and pecan illusions. On tap at Plank Pizza, “adventurous” Belgian candi-suagred IPA promotes optimum Citra-hopped tropicalia over sourdough-breaded honey wheat base. Frisky pine oiling embitters juicy grapefruit, orange, peach, nectarine and apple tang coalescing whimsical banana-clove illusions to knock back brutish bitter bite. These two Rocky Mountain ski towns, sojourned August ’07, enjoy the bountiful libations of two highly respected brewpubs. 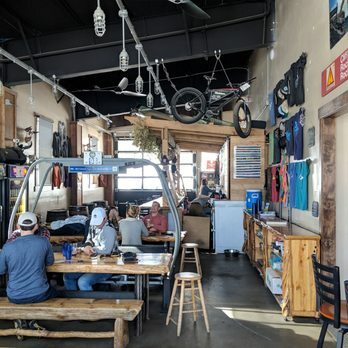 Veritable municipal staple, BRECKENRIDGE BREWERY, has been operating since 1992 and Keystone’s prominent WOLF ROCK BREWING opened its doors a decade or so later. Log cabin-styled loft-fronted side-decked BRECKENRIDGE BREWERY fortifies bustling Route 9-bound ski community. Central 14-seat bar fronted silver brew tanks servicing sided dining areas and left side billiards room. I had appetizers, salad, and sandwich while proficient 23-year-old brewer Drake Schmid poured many brews not bottled by Breckenridge’s Denver-based brewery. There was grassy hay-dried oats-honeyed cereal-grained lemon-dried Pilsen 100% German Malt, grainier-than-fruity citric-spiced molasses-teased Summer Bright, citric-glazed floral-dried vegetal-finishing Trademark Pale Ale, tea-like orange-cherry-zested fig-date-vested Avalanche Ale, and astringent Cascade-hopped Breck Lite Golden Ale (with its husked maize and cracked corn parch). Those were fine warm-ups for assertive floral-hopped orange-peeled grapefruit-embittered cherry-peach-apricot-perfumed 471 IPA and creamy black chocolate-y coffee-roasted walnut-cola-daubed chipotle-spiced espresso-finishing Oatmeal Stout.